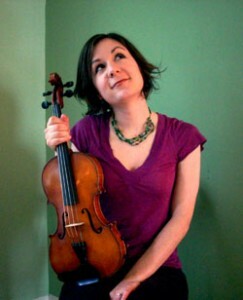 A new England fiddler and folk singer, Lissa grew up in Maine as an active member of the folk music and dance community, where she cut her teeth as a musician at a very young age. She has continued to explore music throughout her life, leading to her graduation from The New England Conservatory of Music in Boston, Massachusetts (2001). Her list of mentors includes Greg Boardman, Alasdair Fraser, David Kaynor, and Hankus Netsky. While embracing a diverse pallet of musical influences, she still stays true to her New England roots.